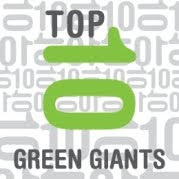 Greentech Media published the list of top ten Green Giants: the companies most likely to produce, develop and promote the ideas and products that will have the widest ranging effects. Heliatek GmbH, Dresden, the global leader in the development of organic solar cells, will be building its first production site in Dresden. Construction will be carried out in co-operation with FHR Anlagenbau GmbH, Ottendorf-Okrilla, - an internationally experienced manufacturer of innovative vacuum process technology. Heliatek is pursuing the goal of becoming the world’s first manufacturer of organic, oligomer-based solar cells and the supplier of the most efficient, stable and productive organic solar cells. Heliatek and FHR plan to have the new manufacturing facility set up by mid 2011. The first products to be produced by the new foil coating system are expected to be available at the start of 2012. The manufacturing facility will be built at the Heliatek location in Dresden, close to the A4 highway and only 15 minutes from the airport. Heliatek moved into its ‘new home’ there in May of this year, giving it the space to carry out everything ‘from lab to fab’. The modern hall offers ideal conditions. With a floor space of about 1,700 m², it provides enough room not only for production but also for the laboratories and research units to grow throughout the coming years. Dresden has both an excellent infrastructure as well as highly qualified, experienced and motivated employees. These are the best possible prerequisites for Heliatek to produce and sell the high-quality, light, flexible and optionally even semi-transparent photovoltaic modules of the newest generation at highly competitive prices. The construction of the first production site is being supported financially by the European Union. SolarCity®, a national leader in solar power financing, design, installation, monitoring and related services, today announced a new, $21.5 million round of private financing. The round was led by Mayfield Fund and supported by additional investments from existing SolarCity investors Draper Fisher Jurvetson, DBL Investors and Generation Capital. The new funding will accelerate SolarCity’s growth and expansion to new markets. 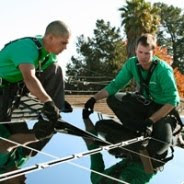 SolarCity is the first full-service solar provider in the U.S. for homeowners, businesses and non-profit organizations. The company pioneered the zero-money-down solar lease (SolarLease®), which allows customers to begin saving money from day one by adopting solar power, but also gives customers the option to purchase their systems upfront. SolarCity differs from its competitors in that it combines its financing options with custom design, installation, proactive monitoring, insurance and repairs, providing customers a single source to work with for the entire life of their solar project. The company has more than 13 installation centers, 700 employees and 8,000 customers spread across Arizona, California, Colorado, Oregon and Texas. “SolarCity’s world-class team and proven momentum in the design, delivery and financing of solar power systems make it an ideal addition to our Energytech portfolio,” said Navin Chaddha, Mayfield Managing Director. Mr. Chaddha, ranked 11th in Forbes’ most recent “Midas List” of top global dealmakers, will join SolarCity’s board of directors as an observer. Mayfield Fund is a forty year old venture capital firm with over $2.8 billion under management. Since its inception Mayfield has raised 13 U.S. funds, one India fund, and assisted its partner GSR Ventures in raising three China funds. Mayfield has invested in more than 500 companies and taken more than 100 companies public. REC Solar, Inc. and Tigo Energy® jointly announced today that the two companies have reached a development agreement to offer the Tigo Energy Maximizer SolutionTM as part of REC Solar’s commercial and residential installations throughout the United States. REC Solar is one of the leading solar electric providers in the United States, and Tigo Energy has developed a technology that increases power output efficiency, management and control in solar photovoltaic (PV) installations. The Tigo Energy Maximizer Solution creates smart modules that provide as much as 20 percent more energy production, active management capabilities and enhanced safety for utility, commercial and residential solar arrays. REC Solar began offering Tigo’s Maximizer with its San Francisco Bay Area installations in February and has since extended this availability to its Los Angeles, San Diego and Colorado operations. REC Solar will further expand Maximizer availability this summer to all its territories in the United States. Direct Grid Technologies, LLC, manufacturer of photovoltaic (PV) micro‐inverters and related monitoring systems, announced a new series of OEM grid‐tie microinverters that mate to a variety of monocrystalline and polycrystalline type modules. The DGMS250 offers a power output of 250 watts, and the DGM‐S460 offers an unprecedented 460 watts. Similar to its predecessor, the DGA Series, the DGM Series units use Direct Grid’s unique closed loop MOSFET planar architecture which offers high power and excellent thermal management, resulting in unparalleled efficiency and reliability. 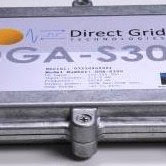 The DGM‐S250 is designed to mate with a single 60 cell 210‐240 watt module, while the DGM‐S460 is suited to mate with a two 60 cell 210‐240 watt modules. For original equipment manufacturers, power tracking voltage inputs can be modified to suit custom maximum power point ranges. “All of our micro‐inverters are inherently designed with flexibility in mind. While the DGM Series includes the DGM‐S250 and S460, many varieties of micro‐inverters actually exist in‐between. We now have a continuum of products for any wattage between 250 and 460 watts for our OEM customers,” said Frank Cooper, Direct Grid president. “Additionally, unlike some other micro inverters on the market, the system auto‐tunes to any single phase grid it is connected to, so we can handle grid frequencies of 50 or 60 hertz right out of the box,” continued Cooper. The SMART DGM Series also includes Echelon communication that permits each micro‐inverter in the network to communicate with a remote access node. Power data, temperature, diagnostics and unique identification code are routinely collected from each micro‐inverter. 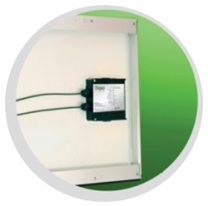 This network communication also enables the benefit of theft deterrence by monitoring the unique identification of each micro‐inverter. The resulting data can be graphically presented to end users for easy system monitoring. The company announced last week it had secured USD 4,7 M in private equity financing. The Turnbull Hydroelectric Project would consist of two separate generating facilities located on canal drops within the Bureau of Reclamation’s Sun River Project. The Sun River Project is a federal irrigation project constructed west of Great Falls, MT in the 1930s. The two generating facilities are Upper Turnbull and Lower Turnbull. These projects would utilize water released for irrigation from Pishkun Reservoir. Released water flows exclusively within manmade canals, which incorporate concrete drop structures designed to control water flow across steep topographic gradients. The Turnbull hydroelectric project proposes to bypass two of these drop structures by directing canal flow into penstocks, through generating facilities, and then returning water to the canal system at the bases of the drop structures. The project would not alter the amount or timing of irrigation water stored or released from any reservoir and would not change any point of irrigation use, but would merely utilize existing flows to generate power. The Greenfields Irrigation District would continue to control Pishkun Reservoir irrigation releases and water use. The project would interconnect with the Northwest Energy electrical grid just north of Fairfield, MT. The total amount of new transmission line required to interconnect would be about six miles. All proposed projects will operate in a run-of-river mode, i.e. power generation will automatically adjust to the amount of water being delivered in the canal system. The project use of water is entirely non-consumptive. The lower canal flow will equal the flow in the upper canal. When a power plant is offline, all water will spill over into the existing drop structure, thus bypassing the project entirely. 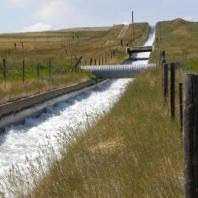 All project facilities are located within or immediately adjacent to existing right-of-way used for access and maintenance of Greenfields Irrigation District canals. The project will not affect storage, release or timing of irrigation flows in any part of the canal system, but will merely utilize existing flows to generate power. The projects utilize canal flow and are not located near nor will they affect any natural waterways. For these reasons, and since all areas proposed for new construction have been previously disturbed and are used regularly for routine maintenance of the canal system, the environmental impact associated with the hydroelectric development will be minimal. Furthermore the proposed project structures will be small and low profile and will have virtually no visual impact. The proposed hydroelectric projects are designed to produce 25,300 MW-HRS of energy annually. This amount of energy is equivalent to approximately 50,000 barrels of oil. Because it is based on irrigation delivery, power generation from the proposed projects will help meet peak summer demands for power. The hydroelectric projects constitute an additional beneficial use of water but will not affect existing beneficial water uses. The Federal Energy Regulatory Commission has issued licenses for development of both generating facilities. The project developers have executed a power purchase agreement with NorthWestern Energy and have received a financing commitment based on a USDA rural development program loan guarantee. Construction is scheduled to begin in July 2010 and will be kicked off with a ground breaking event in mid July. 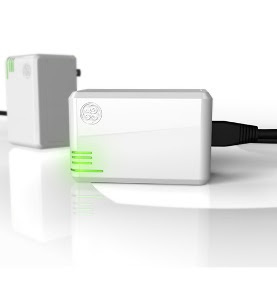 GE (NYSE: GE) today unveiled Nucleus™, an affordable, innovative communication and data storage device that provides consumers with secure information about their household electricity use and costs so they can make more informed choices about how and when to use power. GE's Nucleus brings the promise of the smart grid into consumers’ homes. As utilities deploy smart meters, the Nucleus will collect and store a consumer’s household electricity use and cost data for up to three years, and present it to consumers in real-time using simple, intuitive PC and smart phone applications, helping consumers monitor and control their energy use. Nucleus is the first product in GE’s Brillion™ suite of smart home energy management solutions that will help consumers control their energy use and costs. In addition to Nucleus, GE’s Brillion suite will include a programmable thermostat, in-home display, a smart phone application, and smart appliances for the entire home. By 2012, US utilities are expected to install more than 40 million smart meters.1 These digital meters enable utilities to charge “time-of-use” rates for electricity throughout the day. When demand is low, electricity will cost less, and when demand is at its “peak,” utilities will charge more to encourage off-peak consumption. With these new pricing plans, however, comes the need for innovative technologies to help consumers manage their usage. Along with monitoring their whole-home energy consumption, consumers will have the option to automatically adjust thermostats or alter the consumption of GE Profile™ appliances with Brillion Technology in response to utility price signals. Future Brillion options will also include alerts to assist consumers with daily tasks, such as when to change the refrigerator’s water filter or when the dryer cycle ends. Software upgrades will further enable Nucleus to monitor water, natural gas, and renewable energy sources, as well as plug-in electric vehicle charging. Although it is not an easy task, China strives to put into practice the promise made last November before the Copenhagen Conference -- to cut its carbon dioxide emissions per unit of gross domestic product by 40 to 45 percent by 2020 compared with the level from 2005. "The old path of economic growth based on environmental pollution implemented in developed countries over the past 300 years is not feasible in China, and China can not afford the losses brought by this development mode," said China's Minister of Environmental Protection, Zhou Shengxian, at an ongoing theme forum of the Shanghai World Expo in Nanjing, capital of east China's Jiangsu Province. The two-day forum ended Sunday. China should base its development on its own situation and explore a new development path that is more efficient and sustainable, costs less, and results in less carbon emissions, Zhou said. After the outbreak of the international financial crisis in September 2008, the world economy suffered the greatest challenge since the Great Depression as the United Nations Environment Programme (UNEP) advocated the development of a "green economy" worldwide. In China's 4-trillion-yuan (about US$588.24 billion) economic stimulus plan, funds for energy savings, carbon reductions and ecological construction reached 210 billion yuan. Plus the 370 billion yuan in funds used for innovation, restructuring and coping with climate change, "green investment" accounted for 14.5 percent of the stimulus plan. It indicates the government is shifting its values from traditional "profit maximization" to "welfare maximization." Zhang Guobao, director of the National Energy Administration, said "the government puts great stock in seeking harmonious development between cities and the environment, and is readjusting the energy structure by giving priority to the development of clean and low-carbon energies, including hydroelectric, nuclear, wind and solar power." Authorities have closed small, coal-fired plants totaling 60.06 million kilowatts in capacity between 2006 to 2009. This year's target of closing 10 million kilowatts of capacity should be achieved by August, he said. "We have promised to the international community that 15 percent of our power will be generated from non-fossil sources by 2020," Zhang said. At present, non-fossil energy accounted for around 7.8 percent. The country's operating hydropower capacity in 2009 reached 197 million kilowatts, the highest in the world. Further, the installed capacity of wind power has been doubling every year for the past four years to more than 22 million kilowatts, the third highest in the world, and the figure is expected to exceed 30 million kilowatts in 2010. Zhang proposed increasing the proportion of clean energy in the total national energy consumption. 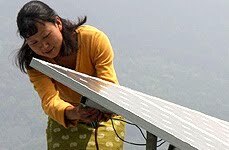 Statistics show that China invested US$34.6 billion in clean energy in 2009, exceeding the United States which invested US$18.6 billion, to become the highest in the world. However, China's investment in clean energy was only US$ 2.5 billion five years ago. China has reduced the traditional high-energy consumption industries while increasing its investment in clean energy. From 2006 to 2009, China shut down 6.06 million kilowatts of small coal fired power units, a figure equivalent to the fully installed capacity of Britain, therefore saving 64 million tonnes of coal and preventing 160 tonnes of carbon dioxide from being introduced into the air every year. "China took only 30 years to have the environmental problems that had gradually emerged in developed countries over 200 to 300 years. As a big developing country with a population of 1.3 billion people, China is under unprecedented pressure for both economic development and environmental protection," said Minister Zhou Shengxian. The Shanghai World Expo well illustrates China's effort to save energy and curb carbon dioxide emission. More than 80 percent of the pavilions adopted environmental friendly designs in buildings, while more than half of the pavilions use clean and renewable energy. 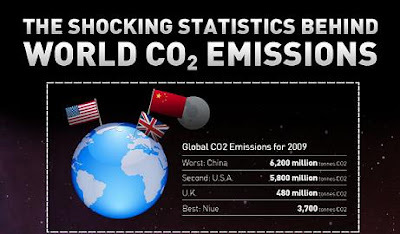 However, China's carbon emission reduction target cannot be achieved easily. Wang Ke, a team member of the energy and ecological economy project under the People's University in Beijing, said the shift to a low-carbon economy will only be met at a huge cost to society. For instance, more than 400,000 people were laid off as a result of the shutdown of small coal-fired power plants from 2006 to 2009. Many studies indicate that curbing greenhouse gas emissions may delay China's development, affect people's income, lead to unemployment and further increase the burden on vulnerable groups in the short term. Hu Angang, director of the Center for China Studies, a top think tank for policy-making under the Chinese Academy of Sciences and Tsinghua University, said China's promise of curbing carbon emissions and saving energy is not only a response to international pressure, but to meet the internal demands of the transformation of the economic development mode. flywheel energy storage plant in Stephentown, New York. are wired in place, they will be interconnected with Beacon flywheels. delivered to the site over several days last week. 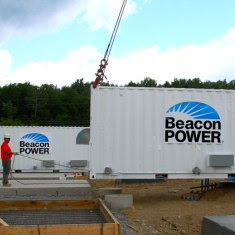 Massachusetts has translated well into this full-scale 20 MW project." Calgary, Alberta – Eighteen clean technology projects will receive $40 million in funding from Sustainable Development Technology Canada (SDTC), including hybrid technologies for transportation. The funding is intended to help move innovative technology solutions to market. "SDTC and the Government of Canada are providing industry the tools they need to become more productive, competitive and efficient," said Juergen Puetter, chairman of SDTC. "When these companies bring their technologies to businesses and consumers, they create jobs, provide Canada a technological edge and contribute to improving the quality of Canada's air, water and soil." The new investments bring SDTC's total portfolio value to over $1.6 billion. The SDTC is an arm's-length foundation created by the government of Canada, and includes the $550 million SD Tech Fund for projects that address climate change, air quality, clean water and clean soil, and the $500 million NextGen Biofuels Fund, which supports the establishment of first-of-kind large demonstration-scale facilities for the production of next-generation renewable fuels. The projects include an advanced battery system for plug-in hybrid electric vehicles (PHEV) by Electrovaya Corporation of Mississauga, Ontario, which will be tested in a fleet of Ram 1500 PHEV trucks; a hybrid auxiliary power unit for tractor-trailers by EnerMotion Inc. of Caledon, Ontario; and a cathode material for lithium-ion batteries by Phostech Lithium Inc. of Candiac, Quebec. Ascent Solar Technologies, Inc. (NASDAQ:ASTI) announced today that it has been honored with the prestigious R&D 100 Award, presented annually by R&D Magazine to recognize the 100 most technologically significant new products and processes of the year, as judged by a panel of experts. 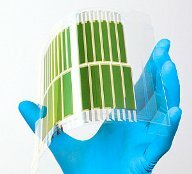 The company's winning entry is its unique commercially manufactured monolithically integrated CIGS light weight and flexible thin-film modules using a plastic substrate for applications ranging from automotive, portable power and roof tops. Farhad Moghadam, President and CEO of Ascent Solar stated, "Ascent Solar is the only module manufacturer to receive the accolade this year. The award is shared with ITN Energy Systems, the former parent company of Ascent Solar, and the originator of this technology. With our partners, we continue to develop innovative ways to use photovoltaics on a daily basis. Our modules enable the personal portability of solar power, applications for electrification of transportation and aesthetically pleasing integration of PV into building materials. Having our product selected as one of the top 100 innovations of the year by R&D Magazine's panel of experts is both an honor and a confirmation of our ability to develop the next generation of solar products." For 48 years, R&D 100 awards have been given by R&D Magazine to the top 100 technological achievements of the year. Previous award recipients have included anti-lock brakes, the fax machine, halogen lamps and liquid crystal displays. Vestas, the world's leader in producing high-tech wind power systems, announced today that it will open an Engineering Site in Louisville, Colo., to support Vestas Global and enhance Vestas' wind power production capabilities throughout North America. Vestas will move 46 employees into 47,675 square feet of space on Centennial Parkway, Louisville starting today, and will expand this team to include up to 125 highly skilled engineers within a year's time. 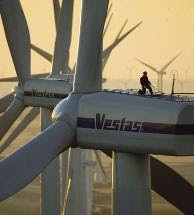 The Vestas Engineering Site will enhance Vestas' ability to integrate product development by placing it close to the company's three factories – a blades' factory in Windsor, a nacelles-assembly factory in Brighton and towers' factory Pueblo, thereby better servicing and meeting the needs of Vestas' North American customers. Technology R&D. "By co-locating engineering and design competencies with the production cluster in Colorado, the proximity of Technology R&D to manufacturing creates significant efficiencies that can be passed along as a direct benefit to our customers." Vestas decided to build its North American production facilities in Colorado because of the state's central location, extensive transportation infrastructure and rail system, existing manufacturing base and skilled workforce. Asian Development Bank (ADB) President Haruhiko Kuroda said yesterday. First Asia Solar Energy Forum in Manila. date been keeping many solar energy investors on the sidelines. capacity, policy, technology, and financing barriers." project preparation, and direct financing of solar energy projects. energy revolution in the Asia and Pacific region. 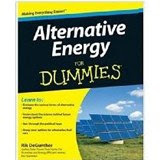 their monthly energy costs," Manes said. highest comfortable setting and then adjust it up when you leave home. cool a room, so be sure to turn if off when you're not home. state. Tips and tools are available in the "Save Energy & Money"
Global photovoltaic demand continues to soar in 2010 and is currently projected to double over the rate of installations last year. In the latest edition of the Solarbuzz® QUARTERLY Report, Solarbuzz has raised its 2010 market size to 15.2 GW which compares with a revised 7.5 GW in 2009. Specifically, the last three quarters of 2010 are projected to generate 12.7 GW of demand, driven by strong growth across Europe, but also in United States, Japan, China and a range of smaller start-up markets. German market demand incorporates substantial volatility in quarter-on-quarter performance during 2010. This takes account of the uncertainty of policy adjustments in Germany that are planned for July 1 and also January 2011. A 2010 market size of 8 GW in Germany is now in prospect, even taking account of a drop off in demand in Q3'10. "Despite much uncertainty over policy outcomes a challenging economic environment and inverter supply, the PV industry is once again demonstrating consumers respond to supportive government policies," said Craig Stevens, President of Solarbuzz. "The growth in demand is a response to major cuts in price levels afforded by lower manufacturing costs. As a result, module and inverter supply is just barely keeping up with demand." Preliminary data on global industry revenues shows a drop of 40% to just over $12 billion in first quarter 2010, which was nearly four times the level one year earlier. Selected price rises late in Q2'10 have been seen from some Chinese manufacturers supplying to Europe. These moves helped to partially offset the decline in the Euro over second quarter 2010. Within the PV chain, wafer prices have tightened in both euro and dollar terms, while cell prices have tightened in euro terms only over the past 6 months. * Estimated upstream inventory days remain flat from end Q1 to end Q2 2010, whereas downstream days fall to one third of their end Q1 level. * In Q1 2010, there was a sharp rise in cell capacity utilization, with many of the market leaders in practice working at full capacity during second quarter. * Among the leading cell manufacturers, Sharp took a clear number 1 global position in first quarter 2010, measured on total revenues. 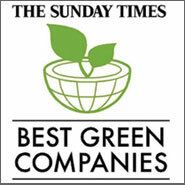 In a close number 2 and 3 position were Suntech Power and First Solar. First Solar retained first place in MW production terms. * Asian manufacturers exhibit steady quarter on quarter gross margin improvements, testimony to their success at bringing down unit costs. A total of 27.5 GW of new power capacity was constructed in the EU in 2009. Out of this, 10.2 GW (38%) was wind power; 6.6 GW (24%) gas fired power stations; 5.8 GW (21%) PV; 2.4 GW (8.7%) coal fired power stations; 580 MW (2.1%) biomass, 570 MW (2.1%) oil; 440 MW (1.6%) waste, 440 MW (1.6%) nuclear, 390 MW (1.4%) hydro and 120 MW (0.4%) CSP. For the second year in a row, wind energy is the leading electricity generation technology in Europe and the renewable share of new power installations was 62% in 2009. Renewable Energies are a very dynamic field with high growth rates and therefore it is of great importance to base decisions on the latest information available as otherwise important development trends might be missed. For certain renewable energy technologies the development of effective policy measures is not yet possible due to the lack of robust, consistent and up to date data. These Renewable Energy Snapshots are based on various data providers including grey data sources and tries to give an overview about the latest developments and trends in the different technologies. The Renewable Energy Snapshots monitor the development of renewable electricity generation, and whether the 2020 targets can be reached. For electricity generation from Hydro Power (2009: 351 TWh), no major increase is expected as most large hydro resources are already in use today. In addition, it is not clear if the same resources will still be available on a continuous base in the future if extreme weather conditions become more frequent and additional water resource needs might arise. Small Hydro is an option, but was not investigated in this report. However, pumped Hydro will play an increasingly important role as storage capacity for the other Renewable Energy Resources. Additional renewable electricity generation technologies include geothermal, tidal and wave power. These technologies are in a research and development phase and no major market penetration is happening yet. Therefore, they are not yet included in this Snapshots, but it is expected that their market introduction will take place within the next decade. electricity can be generated on demand. This variable dispatchability is extremely important for a renewable energy supply and increases the value significantly. In Europe, installed capacity from Concentrated Solar Power is still small today (430 MW in May 2010), but is steadily accelerating. According to the European Solar Thermal Electricity Association (ESTELA) 30 GW of CSP capacity could be installed in Europe generating around 100 TWh of electricity in 2020.
systems, as well as modern supply and demand management, have to be available to fulfil this vision. Wind energy is already the number one in newly installed capacities in Europe. With more than 74 GW of cumulative installed capacity in 2009, it exceeded the White Paper target of 40 GW by more than 80%. The new target of the European Wind Association is aiming at 230 GW installed capacity (40 GW offshore) in 2020 capable of providing about 20% of European electricity demand. It can be concluded that if the current growth rates of the above-mentioned Renewable Electricity Generation Sources can be maintained, up to 1,600 TWh (45 – 50%) of renewable electricity could be generated in 2020. With this contribution the renewable electricity industry would significantly contribute to the fulfilment of the 2020 targets. renewable electricity sector will not come by itself. Without increased political support, especially in the field of fair grid access and regulatory measures to ensure that the current electricity system is transformed to be capable to absorb these amounts of Renewable Electricity, these predictions will not come about. In addition, the different renewable energy sources will need for the next decade substantial public R&D support as well as accompanying measures to enlarge the respective markets, as cost reduction and accelerated implementation will depend on the production volume and not on time! Sofinnova Partners, acting as a leading investor, Gimv and Amundi Private Equity Funds announced today their investment in McPhy Energy, together with the historic investors in a second round of funding worth €13.7m. The funds will be used towards the global expansion of McPhy Energy and the further industrialisation and commercialisation of its products. McPhy Energy is an innovative French company founded in January 2008 with the mission to industrialise and commercialise a new technology for the solid storage of hydrogen in the form of magnesium hydride. The company has developed an alternative solution for the on-site production of hydrogen for the industry sector and for the renewable energy sector a concrete solution to solve the issue of energy storage. 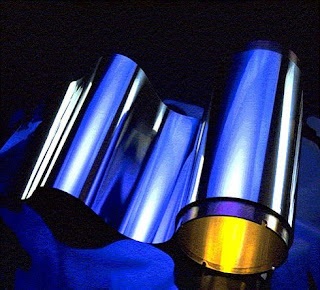 Following a €1.6m first round of financing in January 2009 from Emertec and Areva, the firm established its production line and created a reservoir of magnesium hydride that was delivered to CEA-Liten in March 2010 for testing on an industrial scale. The company is now developing a second large-capacity reservoir that will become operational during the second half of 2010. The second round of funds will allow the start-up to scale quickly, from both an industrial and commercial development point of view, by reinforcing its commercial and technical team and investing in additional production equipment. Already present in Spain and in Italy, the company also plans to open offices in Germany, Northern Europe, the Middle East and Japan. “Through our innovative and very promising technology, McPhy Energy offers a new perspective on technical, ecological and economical solutions in the areas of industrial hydrogen distribution and energy storage,” explains Pascal Mauberger, CEO of McPhy Energy. “We are proud that such experienced investors share our enthusiasm for McPhy Energy’s advanced technology and will accompany us in further developing critical alternatives in these two fields,” he added. "McPhy Energy represents a great opportunity to continue the development of our activity and expertise in the Cleantech sector," explains Florent Thomann, Investment Manager at Amundi PEF. "The powerful, breakthrough technology, an advanced industrial product on the brink of market launch, combined with an experienced and complementary management team and a huge market potential convinced us to accompany McPhy. Its unique product offering will enable McPhy not only to make industrial hydrogen use easy, but to solve one of today’s major problems : the storage of energy," he added. Clipperton Finance acted as Sole Manager of the transaction. “We are very proud to have been able to advise the company and its management through this critical phase of McPhy’s development, and very confident that the company’s syndicate of experienced investors will be instrumental for its success,” commented Nicolas von Bülow and Thomas Neveux, the Partners at Clipperton Finance in charge of the operation.